Matt Talbot Kitchen & Outreach, Lincoln's largest provider of free nutritious meals and outreach services to the working poor and homeless, is requesting your assistance with its annual summer outreach to the community. From now until the end of summer we are collecting bottled water, sunscreen,and insect repellant to be given to our clients, many of whom have limited access to shelter, water, and protection from the sun and elements. Items can be brought to the new Community Kitchen and Outreach Center at 2121 N. 27th Street during regular business hours Monday-thru Friday, with the exception of Thursday from 1-5 when we are closed for street outreach. You can help by spreading the word! Water will be provided to each guest at lunch and dinner each day. Every effort will be made to recycle water bottles to enhance Matt Talbot's current recycling efforts. Matt Talbot Kitchen & Outreach provides well over 100,000 nutritious meals annually and a comprehensive array of Outreach & Prevention Services that include Transitional Housing, Life Skills Training, Health Outreach and Nutrition Counseling as well as assistance with basic and emergency needs. New programs this summer involve outreach to area youth through the Summer Food Program and the Friday Afternoon Garden Club. 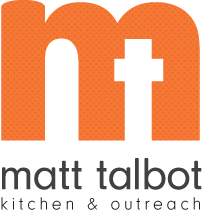 To learn more about Matt Talbot Kitchen & Outreach or to tour our new facility please visit our website at www.mtkserves.org or call 477-4116.